There comes a time in a Catholic’s life where suddenly there is an urge to want to get a statue. 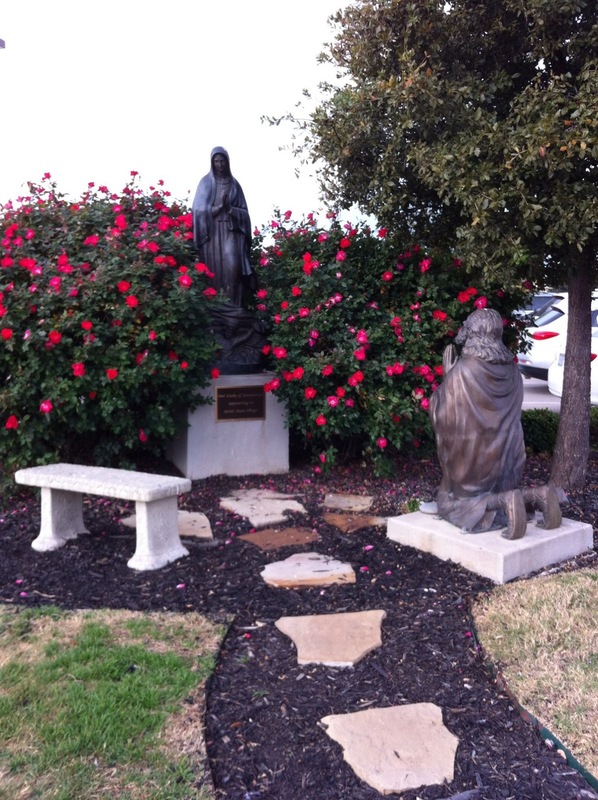 Sure, statues can be found in our churches, parishes, chapels, convents, monasteries, etc… But what about at home? Looking around my room at home, I realized it lacks a visible representation of my Catholic identity apart from the crucifix affixed above my door and an overflowing Catholic bookshelf. My solution is to get a statue. But, I face a very serious and genuine Catholic problem on deciding what statue to get–there are so many options! Jesus, Mary, and the rest of the saints! And then I thought… I cannot rightfully claim St. Juan Diego as my Confirmation saint unless I’m reminded of his devotion to Our Lady of Guadalupe. Then it hit me. Eureka! I should get a statue of Our Lady of Guadalupe! Even our statues want to be around statues! And so… I’m in the market for an Our Lady of Guadalupe statue–not to worship or find myself in a form of idolatry (because that’s heresy!! !… here’s an explanation) but to serve as a visual reminder of St. Juan Diego’s obedience and humility to our Blessed Mother so that I may further embrace him as my patron and through Mary, get closer to Jesus. Why even bother being obedient to Mary? Well, I cannot think of any other human being in all of human history who shared an intimate relationship with Christ other than her. Besides, Jesus had to be obedient to her as well ;-). This will be important as I’ll be upping my spiritual game, which I’ll blog about soon. Thankfully, I recently visited a fellow parishioner’s Catholic store. I was rather impressed at their collection of Our Lady of Guadalupe images and statues. It’ll just be a matter of choosing one, though not necessarily from there. I don’t want one that is too small or too cheesy looking. It needs to communicate, at least, a faint glimmer of beauty that is fitting for Our Lady. I’ll share which one I get once I have it.